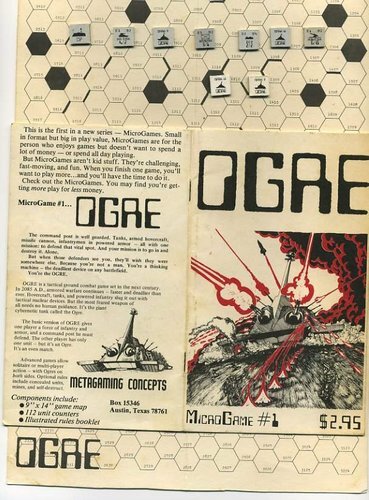 In 1977, Metagaming Concepts released the first game in their successful Microgames line of affordable war games -- it had a $2.95 cover price. The game had a reasonable print run of 8,000 copies and was a break out success that redefined the war gaming hobby by opening the door to new audiences of simulation game players. The game's second print run was 20,000. The game was among the first war games to have a science fiction theme, and it featured rules that were simple enough for someone who had never played a war game to pick up and play within minutes. The game was titled OGRE and it was so successful a game that its sales fueled the development and growth of two hobby gaming corporations. The first company, Metagaming Concepts, fought hard to keep the intellectual property rights when the game's designer left the company to found his own company Steve Jackson Games. The lawsuit lasted for quite some time, but eventually the property followed its creator to its new home. 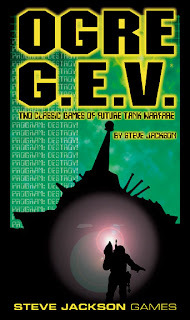 By the time the game migrated over to Steve Jackson Games, it had sold approximately 70,000 copies (excluding the sales of its GEV expansion set). It was the reliable sales of OGRE that provided the revenue which allowed Steve Jackson Games to publish their next runaway success -- a game so successful it made OGRE's sale look small by comparison. That game was Car Wars, but its story is a tale for another time. Today is a day to praise OGRE and to share our anticipation for the upcoming release of OGRE 6th Edition which should be released later this year. The command post was well guarded. It should have been. The hastily constructed, unlovely building was the nerve center for Paneuropean operations along a 700 kilometer section of front -- a front pressing steadily toward the largest Combine manufacturing center on the continent. Therefore General DePaul had taken no chances. His command was located in the most defensible terrain available -- a battered chunk of gravel bounded on three sides by marsh and on the fourth by a river. The river was deep and wide; the swamp gluey and impassible. Nothing bigger than a rat could avoid detection by the icons scattered for 60 kilometers in every direction over land, swamp, and river surface. Even the air was finally secure; the enemy had expended at least 50 heavy missiles yesterday, leaving glowing holes over half the island, but none near the CP. The Combine's laser batteries had seen to that. Now that the jamscreen was up, nothing would get even that close. And scattered through the twilight were the bulky shapes of tanks and ground effect vehicles -- the elite 2033rd Armored, almost relaxed as they guarded a spot nothing could attack. Inside the post, too, the mood was relaxed -- except at one monitor station, where a young lieutenant watched a computer map of the island. A light was blinking on the river. Orange: something was moving, out there where nothing should move. No heat. A stab at the keyboard called up a representation of the guardian unit...not that any should be out there, 30 kilometers away. None were. Whatever was out there was a stranger -- and it was actually in the river. A swimming animal? A man? Ridiculous. Like the "Mayday!" on the Traveller role playing game box, this description has fired my imagination for years. The fear of the command post staff is palpable, but one can only truly understand their fear after playing the game. The OGRE is a killing machine that tears through defending infantry, ground effect vehicles, and heavy tanks alike. Sometimes one wonders if there is a way to stop the OGRE at all. Then one finds an "unbeatable" strategy that succeeds in defending a few command posts, only to find that the OGRE has adapted to the new strategies and once again exterminates those who stand in its way. 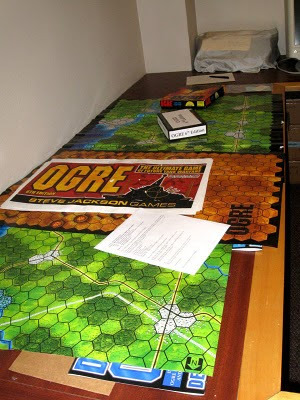 The original war game version of OGRE is a very strategically deep game, even more so when you add the Shockwave and GEV expansions, that has been printed in four "map and counter" editions and one Miniatures edition. 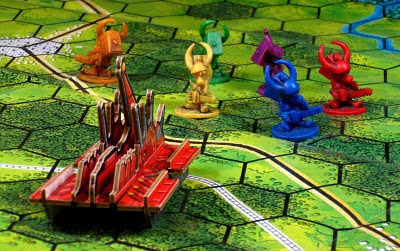 The miniatures edition was printed in the 1990s and is a fun game, but I have always felt that it -- like the edition of Car Wars that came out at the beginning of this millennium -- was not the right direction for the game to go. I am certain the miniatures were profitable, and I believe that SJG should have made the miniatures game, but I think that SJG was wrong in thinking that the miniatures game had replaced the classic "map and counter" version of the game. It hadn't, not any more than Warhammer the role playing game replaced Warhammer the miniatures game. To be fair, SJG sold the games parallel in the 90s -- it wasn't until the early 00s that they marketed the miniatures game as a replacement. It just seems to me that OGRE's core strength is its accessibility, both in rules and in price point, and a miniatures game moves away from this strength. OGRE has been on hiatus for a few years as SJG has focused the majority of their efforts on the wildly successful Munchkin card game. SJG has a history of focusing like a laser on their most successful titles while leaving less attention for other products. But this year seems to be the year that SJG, after two years of excellent non-Munchkin offerings, is resurrecting the OGRE. The sixth edition of the game has components that fall somewhere between the map and counter game of old and the more recent miniatures game. This edition will feature "chipboard" playing pieces that the players construct for use in play. This is an approach that takes advantage of the cost savings of a "printed" rather than a "cast" product line, while having greater aesthetic appeal than looking at square counters bearing numbers. 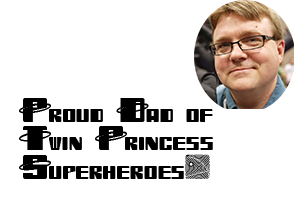 I think it is the right direction for the game, and I hope that it is a successful venture for Steve Jackson Games. I know that I am eagerly awaiting this edition and will proudly place it next to my OGRE/GEV boxed set, OGRE mini-game, OGRE Book (first and second editions), and OGRE Deluxe Edition (non-miniature) versions of the game. If all goes well, I should be able to purchase and play the game at this year's GENCON -- though they don't include OGRE in their list of official releases yet. OGRE was one of my first war game and still has a dear place in my heart. My dad and I used to play it together. Glad to hear it is coming back. Get your copy before the pledge drive ends on May 11th.